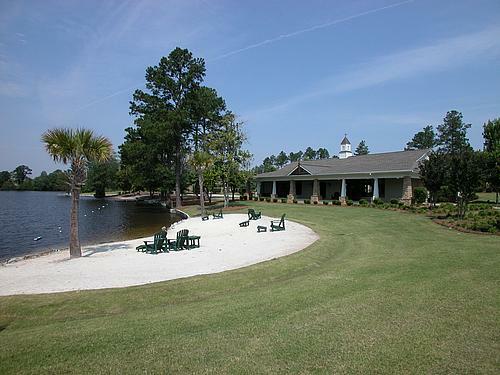 The Lake Frances Community is located in the convenient area of West Columbia, SC. Lake Frances is a well established and well-respected neighborhood located just outside of the hustle and bustle of Lexington and West Columbia. This family-centered community is situated right next to a 48-acre lake with a spectacular roaring waterfall. Upon arrival at the community, you will know that you have arrived at a very special place. Introducing the community is a heavily landscaped entrance which communicates your arrival into a magnificent community that is showcased by a beautiful lake! The multiple lifestyle amenities include a multi-purpose swimming pool with a zero entry for children through a spraying fountain and a hydrotherapy pool for rest and relaxation, a summer kitchen on the pool deck,an adjacent PlayLand playground for the kids, a community clubhouse, volleyball, horseshoes, a sandy beach area and picnic facilities on the dam; and a floating dock for boaters. Located right off of Ramblin Road, between Hwy 302 (Airport Blvd) and Platt Springs Roads, Lake Frances has easy access to everything in West Columbia, Columbia and Lexington. Lake Frances is considered to be in the White Knoll area of Lexington County, which is equally spaced between downtown Lexington and downtown Columbia, SC. I-26 is only 6 miles away and I-20 is only 8 miles away; with both interstates nearby, accessing any location is made simple! Lexington Medical Center, just one of the major local hosiptals, is only 9 miles away. If it is additional Shopping, Dining, and more that you seek, Downtown Columbia and Harbison in Irmo, SC are both easy to reach. The neighborhood is nestled only 12 miles outside of Columbia, SC, and it is located only 14 miles from Lake Murray’s new Dam walk, public boat ramps and public park! Just a few miles over the dam will land you in Irmo, with enough shopping and dining for anyone to handle. For those who love the outdoors, Harbison State Forest is a quick 20 minute trip down I-26! Lake Frances residents enjoy a suburban lifestyle with the conveniences of shopping, dining, recreation, and entertainment nearby. 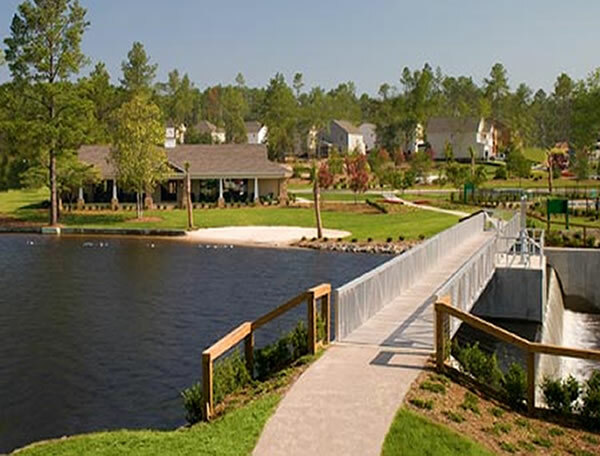 This West Columbia SC Community has 262 homesites and is made up of 3 neighborhoods within Lake Frances; The Shores, Churchhill Park, and Laurel Bluff. The Shores neighborhood is located closest to the lake and Indian River golf course and offers custom-built homes and new homes by Crown Communities. New homes in the Shores start at the low $200,000's. Churchill Park has new homesites available also, being serviced by builders, Crown and Peachtree. Other homes in Churchill Park were built by the national builder, DR Horton and by Rymarc homes. The homes in Churchill Park start in the mid to upper $100's. And finally Laurel Bluff has homes for sale starting in the mid-$100's! The majority of the homes in Laurel Bluff were built by Great Southern Homes. They offer great space and floor plans for very reasonable pricing. Each home varies in size and style from 1600 square feet to over a very spacious 3,000 square feet. Each house has at least 3 bedrooms, 2 bathrooms, a garage and access to all amenitites. Lake Frances does have a homeowners association where the payments are used to maintain the appearance of the neighborhood’s common areas, which include the entrance and all amenities. The Home Owners Associationis currently being operated by an outside management company, Southern Community Services. Currently, Lake Frances students attend attend school in the award-winning, Lexington School District 1. These students are currently zoned to attend Saxe Gotha Elementary, White Knoll Middle, and White Knoll High schools. For more information on these schools, visit Lexington School District One.